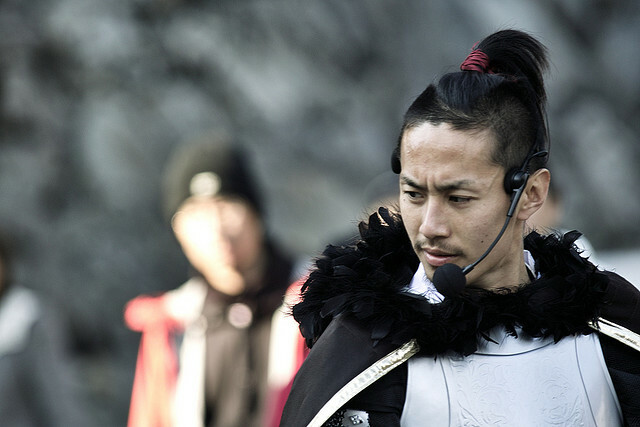 Since a few years ago, samurai warlords have been gradually increasing their fan in Japan. One of their fans is those who are now famously known as ‘rekijo’ or girls who are very much into history. Such girls are even willing to travel all around Japan to see all major castles! 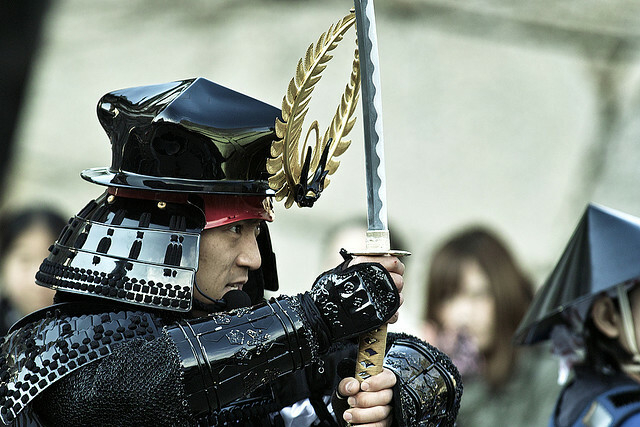 What I would like to introduce today is what such girls are crazy for; samurai warlords. According to an article, an event called World Samurai Summit 1 was held in Nagoya city, Aichi prefecture at the beginning of February. Samurai warlords turned up for the event was samurai squads of each region including ‘Nagoya hospitality samurai warlord squad’, which is famous for its good looking members. All warlord squads warmly welcomed guests with their performance (song and talk show) as well as photo session. Anyway, Nagoya hospitality samurai warlord squad was formed with good looking armoured guys to introduce charms of Nagoya nationwide, and the squad is consist of popular warlords associated with the area, such as Nobunaga Oda, Hideyoshi Toyotomi and Ieyasu Tokugawa. 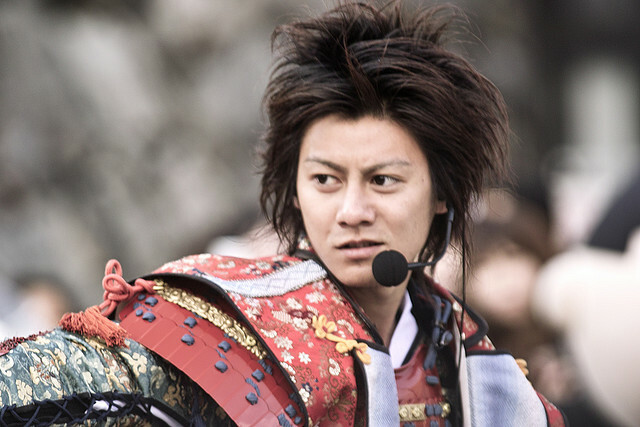 Here is a guy in a role of Nobunaga Oda. In addition to Nagoya hospitality samurai warlord squad, Ieyasu warlord squad from Okagazaki city, Date warlord squad from Miyagi prefecture, and princess squad from Aichi prefecture appeared at the event. Also, this event was not just for watching, but also allowed visitors to enjoy wearing kimono and armour on some limited days, and there were unique restrictions such as ‘No spear allowed’ and ‘don’t brandish weapons’ etc. Some may be even more convinced how crazy Japanese are for cosplay lol, but this event sounds healthy enough, I think. It would be very good idea if young people can be interested in learning history through such event and if this kind of event revitalize local communities as well. “I actually like this samurai warrior!” and “I’m now in love with this samurai❤” etc. etc… I will be looking forward to hearing your opinion.